To my absolute delight it seems we have quite a few men following the site and now they are demanding more! They too want to know what’s best for their skin and what they should be looking out for. So here, specially for all you hunks out there (and remember you are a hunk in your Mum’s eyes whatever anybody else may think), is the low down. My man on the ground, (or actually more like the man in the spa), Mathew Bose, a veritable bona fide hunk and sometime acting cohort of mine, has given the subject his all. The question of whether men need a specific product range for their skincare is more difficult to answer than you might think. On one hand the manufacturers completely differ in their opinions and on the other we have nature. 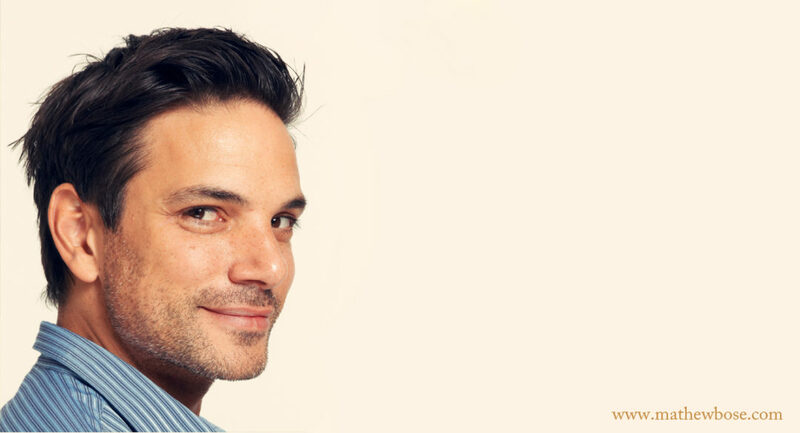 Testosterone clearly causes heaps more facial hair but it also causes an increase in the thickness of the skin. The texture is tougher and sebum (oil) production is higher, as is the density of collagen! Lord, you’d think all men should have the best skin till a ripe old age! However, much fewer men than women are savvy to the whole sunscreen thing and invariably don’t use a daily product (such as moisturiser) that contains any sunscreen. That deadly UV adds years to anyone and will soon negate any head start men have. Be warned ladies and gents…get your men SPF’d! As the years trundle by men’s skin will become thinner but women’s skin suffers further still. The collagen decreases to a larger extent than in men and the loss of estrogen (after menopause), which had been previously supporting the resilience of women’s skin, means their skin may appear more aged than a man of the same age with similar sun exposure. So do we assume that men’s products take into account the extra oil, the smaller sebaceous glands, and the thicker and sensitised skin? Hmmm…I suppose we do, especially in higher end product ranges. It seems that men largely rely on the contents of their girlfriend’s cabinets (not a euphemism) and that’s great in the sense that at least they are taking care of themselves but not so great as it’s unlikely their skin is the same type and so it might not be the right product for them. I mean this in the sense that although many ranges are designed to be unisex there might be a discrepancy between skin types – oily or dry or combination. Some ranges like Aveda don’t make separate products for men and women. Others like Liz Earle do but it’s essentially the same product with manly packaging. Both these companies make products for the skin not genders. Other brands like Shiseido, Clinique, L’Oreal, Biotherm and Boots all have extensive men’s ranges, which are ‘specially formulated’. 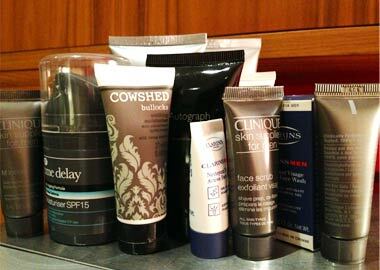 Most men I’ve asked want a single product process and then only if I insist (which I do…!) Why not protect and maintain what you have and keep it in tiptop condition? So, even if a man just swipes a bit of SPF’d moisturizer over his face before he sets out to hunt and gather, then we have a groomed and glowing man! I will now be going out and researching all of the many products out there and trying to make sense of all that’s on offer. Watch this space. I’ll be back soon.